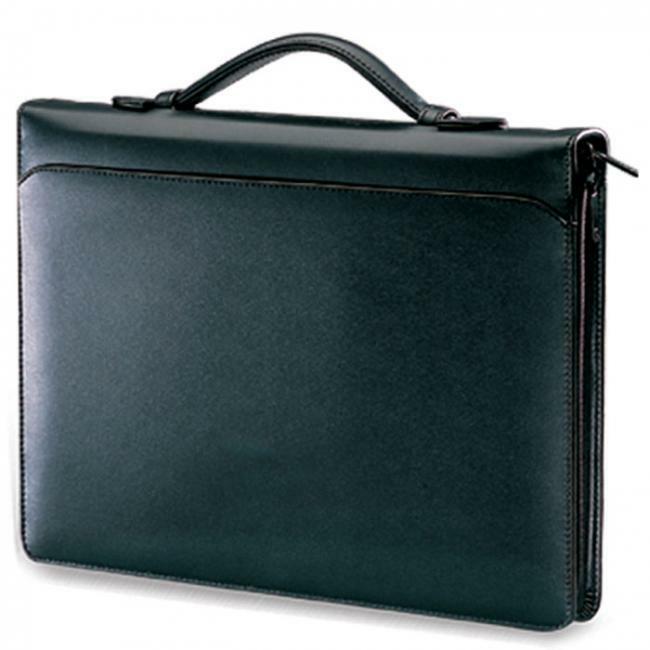 Our Classic Opportunist 3-Ring Portfolio is an extremely professional and versatile portfolio with ample pockets and a 1 1/4" three-ring binder. The zipper closure and padded handle allow for this portfolio to be a perfect solution for your colleagues on the move and the stylish look of this custom portfolio is sure to impress. The large imprint area on the front of this printed portfolio is sure to make your logo grab the attention of everyone. 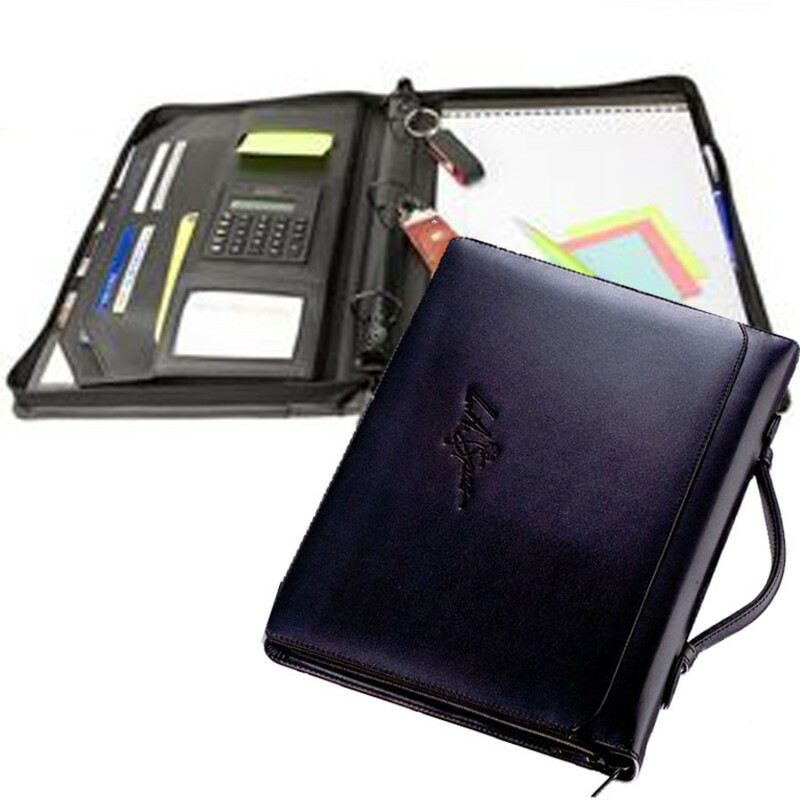 This imprinted 3-Ring portfolio is the perfect gift for the promotional product programs. 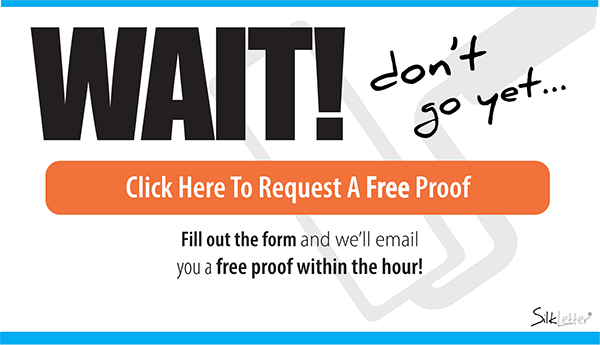 As a corporate gift, this portfolio can be custom printed with your company's logo or design to gain maximum promotional exposure and awareness. This custom portfolio also comes packaged in an Eco-Link drawstring fabric gift bag.